Property that has no commercially available electricity. 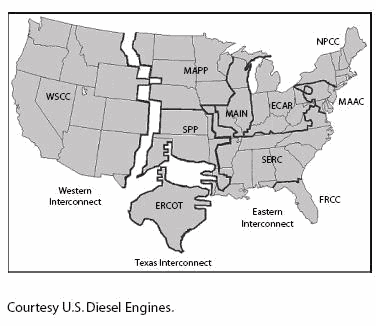 It is “off the power grid.” There are three power grids in the United States: the Eastern Interconnect, Western Interconnect, and Texas Interconnect. He said supplying electricity to off-grid areas is one of the priority areas on which work is already in progress. The conference was jointly hosted by IFC, a member of the World Bank Group, Pakistan Microfinance Investment Company (PMIC), and the Alternative Energy Development Board (AEDB) highlighting the opportunities within the country's growing off-grid solar industry to help address Pakistan's critical energy deficit. We are excited to offer this tough and versatile solar charger to off-grid consumers and military personnel. Announcing the deal at the Global Off-Grid Lighting Association conference in Hong Kong, CEO Simon Bransfield-Garth said the program will be deployed in phases in the course of 2018. Fenix's strength within the home solar market in Africa will play a strategic part in the realization of this goal, given the number of households that off-grid solar is expected to reach over the coming years. While they have been invaluable in getting homes up the first step of the energy ladder, the next step should focus on getting off-grid consumers higher up the energy ladder to improve their livelihoods, health and other socio-economic factors. Value should be the primary driver of innovation in off-grid appliance product design. To appreciate the primary difference between off-grid and grid-tied PV systems, imagine you're planning to take everyone in your household on a long camping trip. MORE (Motion-based, Off-grid, Renewable Energy) is Uncharted Play's proprietary technology that places a customizable micro-generator into any product that moves, using kinetic energy to create an off-grid source of power for mobile and IoT Devices. Price is one key factor in Lumos' appeal, but safety and sustainability also play an important role, even as fuel prices fall lower, possibly making generators more of an option for off-grid families. Rising trend of green towers has also led to robust growth in off-grid telecom tower deployment, and this segment is expected to emerge as the fastest growing telecom towers segment on the basis of grid-type in the coming years in Algeria and Morocco. A new PricewaterhouseCoopers (PwC) report, Electricity beyond the grid: accelerating access to sustainable power for all, has stated that renewable off-grid technologies are the best method for rural electrification.